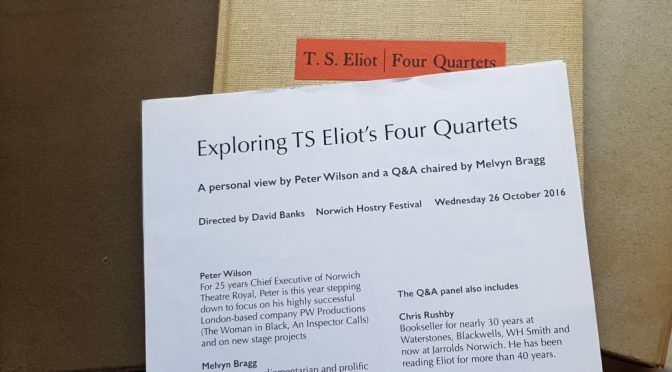 As part of the Norwich Hostry Festival, it was a privilege to both hear Peter Wilson‘s reflective rendition of the four-part poem by T S Eliot and to be on a literary panel chaired by Melvyn Bragg discussing the Four Quartets after. The full panel consisted of Peter Wilson – Chief Executive of Norwich Theatre Royal; David Banks – actor, author and director, Chris Rushby – Blackwells and Waterstones to Jarrolds bookseller and 40-year passionate explorer of Eliot; Katy Jon Went – amateur hack and commentator; and Eve Stebbing – EDP and Daily Telegraph theatre critic, and founder of Spin-Off Theatre. I previously ‘paneled’ with David Banks on the Hostry Festival play discussion of his Five Marys Waiting (2012). This time I sat next to Chris Rushby, both during the poems’ reading and also during the discussion, and I think we exchanged looks after as we felt an emotional punch to the gut at the end of the recitation, which was more of a reflection and internal dialogue with self. The delivery was very personal and searching. They draw me back to the poem and the digging out of a 1968 Folio Society edition, in search of where they were among the lines. Before he could get stuck into The Wasteland (1922) and “April is the cruellest month”, I asked him to fast forward to 1935 and to Burnt Norton, the first of the Four Quartets. Just as I expected, though, it was an emotional and sensual response that my father relayed, not a critical-academic one, and rightly so, for that was the reaction of most of us on the panel. It meant any analysis of literary and religious allusions, or of George Orwell’s criticisms at its lack of deep despair, or too much reliance on god and spirituality was somewhat redundant. It was, however, The Wasteland, that began Eliot’s poetical-theological journey into not only Anglo-Catholicism – to which he publicly converted in 1927, but also Hinduism and Buddhism, as well as Greek philosophers and poets. Unlike the New Testament call to “redeem the time”, for Eliot, time needs no redeeming because it is not lost, it is always with us, in the moment. Indeed, Eliot’s thoughts presage modern concepts of mindfulness and being in the moment, which in turn hark back to older Buddhist appreciations. Possibility is neither abstraction or a speculation, but an ever-present power in what already is. Journeying is a strong theme in the Four Quartets, but one where arrival or purpose are as intangible as time. In all of Eliot’s expressed contrasts and even contradictions in the Four Quartets, meaning, if it can found at all, is not discovered at the poles but at the intersections. 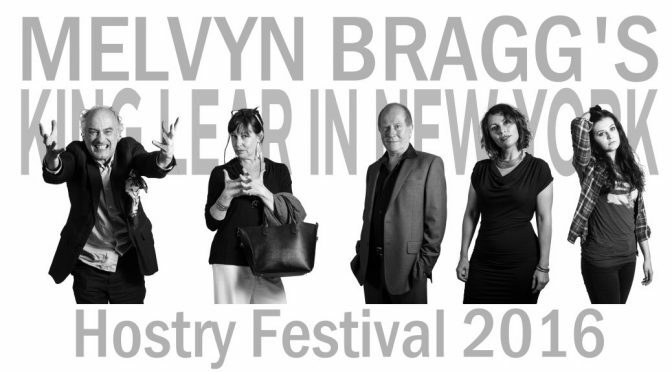 The 2016 Hostry Festival production of the 1994 original play by Melvyn Bragg has been revised by Melvyn with suggestions by Stash Kirkbride, who directed this version, and one of the principal actors, Peter Barrow. The result is a play that positively zips along, in just 90 minutes without a break, with two outstanding performances from Louis Hilyer playing Robert and Rebecca Chapman as Jackie, who set the depth and drama of Shakespeare against the gossip and glamour of Hollywood. 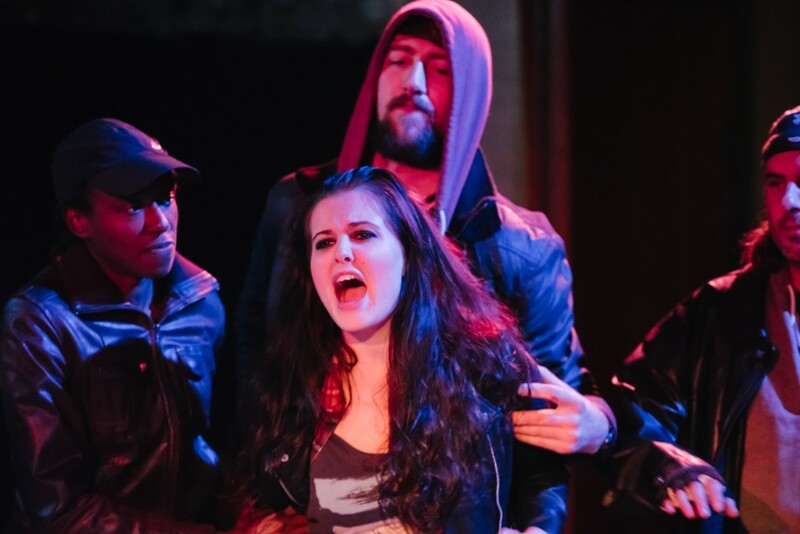 The other starring role in King Lear in New York goes to drink, for it is a dysfunctional family tragic-comedy with father, daughter, and brother, ex-wives and ex-lovers, and a prominent role for the not so on-off relationship with alcohol. Burton of course, never played King Lear, only King John, and whilst wanting to play Macbeth to spite Laurence Olivier, in a film version, never achieved that either. 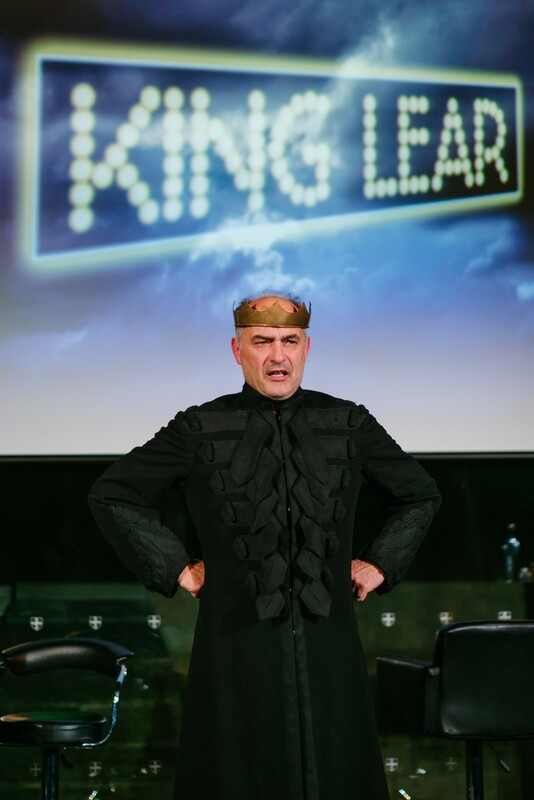 This play imagines a type of Burton before opening King Lear, albeit in off-off-Broadway. Melvyn was in town on Wednesday to see the new version and take a Q&A on it. He was asked about the cutting and editing process, that included the removal on one character in their entirety. Personally, I don’t feel the daughter’s addiction is fully sold to us, indeed there’s enough broken family angst between father and daughter, even without her addiction to drugs paralleling her father’s to drink. Melvyn was keen to present her fragility and yet, unlike Lear, portray redemption and rescue. There is a cracking score of music and storm effects, projected New York backdrops, vintage ‘brick’ phones and, I think I spotted a Dalwhinnie whisky centre stage, alongside the Jack Daniels and plenty more drink besides, on the permanently-on-stage cocktail mini-bar. More likely to have been cold tea or coloured water than the marvellous amber single malt nectar. Peter Barrow holds the stage alone at first, almost making one wonder if we are watching a 1980-90s Wall Street drama. Before any chance of settling in, there was an early dramatic entrance by Robert, amidst a cacophonic clatter and clink, rather alarming the back row, and one wondered whether this was going to be a cross between Withnail and I and Waiting for Godot, or perhaps even Whisky Galore! 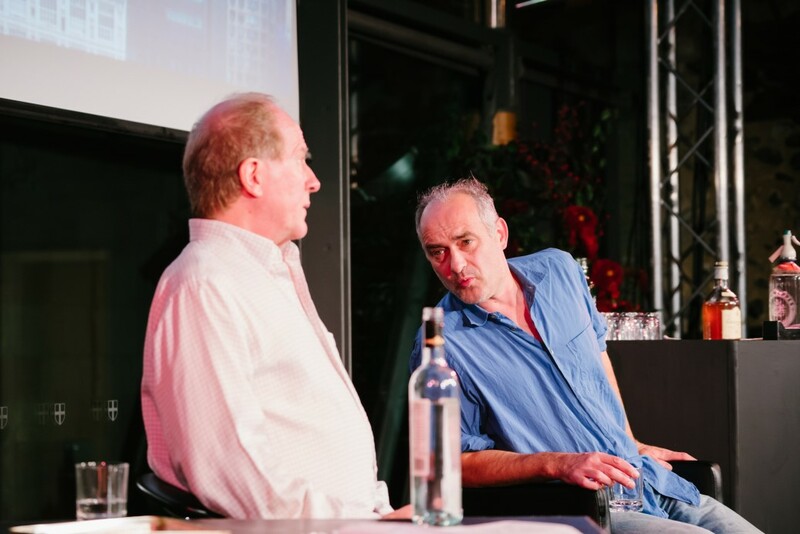 The entry brings wine and JD to join the already well-lubricated ‘actor-playing-an-actor’ on stage who is on the knife-edge of a return to fame or floundering as a washed-up thespian wannabe. As if his drink and acting problems weren’t enough, he has broken relationships with his daughter Julie played with teen-twenty angst by Nina Taylor and ex-lovers to manage. Rebeccas Aldred and Chapman squared off with each other, arguing over Robert, his career, and his affections. Aldred was an excellent foil to Chapman, an in her role was equally torn between her allegiances and hopes for Robert. 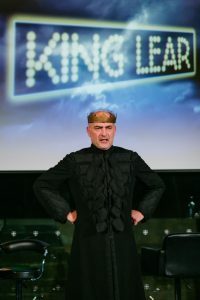 All that, and King Lear too? A knowing audience would be left wondering how far the play within, or rather before, a play will ape Shakespeare’s own and be a full-on tragedy and no mere storm in a whisky glass. Then there’s the titanic struggle between the allure of Hollywood and the age-old stage actor’s dream of Shakespearian challenge. A challenge, that the role of Robert is simultaneously tempted and tortured by, not to mention taunting by his ex-lovers. Whether an actor will ‘die’ on stage is part of the attraction he says. But one day and one death on stage would also kill his Hollywood resurrection, the others counter with. In the play’s first outing in 1994, one reviewer described Kate O’Mara in Jackie’s role as “horny for disaster”, Chapman, instead, seems to desire either his success or failure, but nothing in-between. Life is an act. “He is him when he is most someone else”, the actor’s brother says, even the agent has to ‘act’ on his behalf. We are all the great pretenders, performing our ‘lie-dentities’. Whether in life or on the stage, we are actors in our own dramas. This drama is part sitcom, part tragedy, but fully engaging. Torn between multiple loves, do we love it? In the context of the play, it might be pushing it to say addictive, but the editors seem to have got the revision just about right. 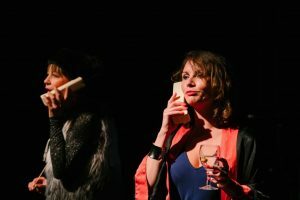 Quitting Shakespeare is as hard as quitting drink, it is as much a drug to its proponents as the skin-deep glamour and glitz of Hollywood celebrity. The play expertly channels King Lear through the funnel of boozy dysfunctionality of its players. 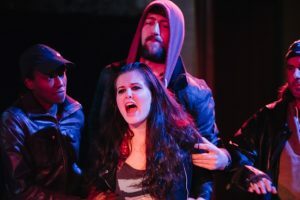 Louis Hilyer is Shakespearean and Rebecca Chapman revels in exuding the worst of Hollywood and TV chat shows, even reeling in the excellent Rebecca Aldred as Bett. The play is certainly worth a second visit after 20 years and maybe even a second visit this week. Norwich’s Hostry Festival event is certainly off-off-off Broadway, and deserves greater visibility. Can you believe it? Nigel Farage is back in charge of UKIP, again – for the fourth time. 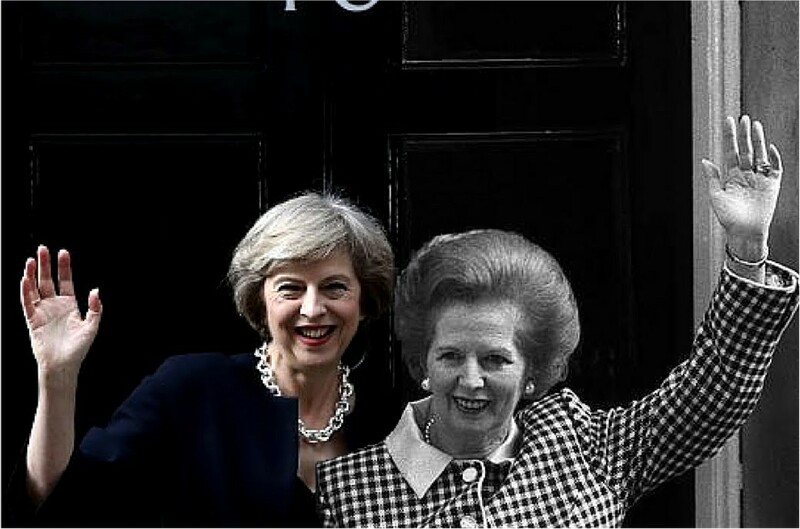 We also have Maggie ‘Theresa May‘ Thatcher redivivus in charge of the Conservative Party (MT/TM same initials!). Jeremy Corbyn is also the second leader Labour has had in a year. OK, so the previous one was also Jeremy Corbyn! I feel like I’m living in political Groundhog Day. 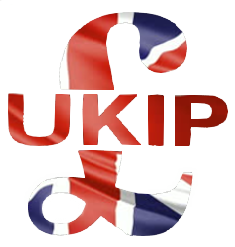 UKIP saving the Pound, one cent devaluation at a time! Admittedly, or allegedly, only a temporary reversion, but after Diane James’ 18-day stint as leader, Nigel Farage has returned to the helm of UKIP. Neil Hamilton as an alternative UKIP leader, currently leader in the Welsh Assembly, would be a “horror story” say Farage and Hamilton in a comical show of unplanned unity. 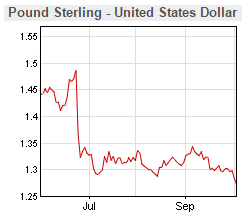 And whilst the FTSE-100 reaches new heights for the multinational wealthy with shares and global reach, the Pound is crashing towards Sterling parity with the Dollar ($1.27) and ignominy with the Euro (€1.13). 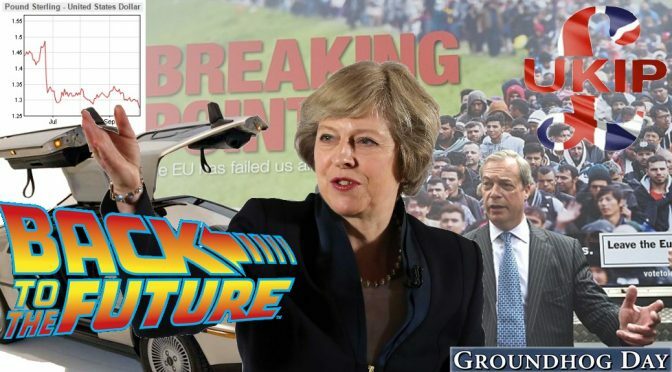 Post-Referendum and with Brexit’s Article 50 due to initiate by March 2017, we have created exactly that with a very divided and divisive 48% Remainers and 52% Leavers society. 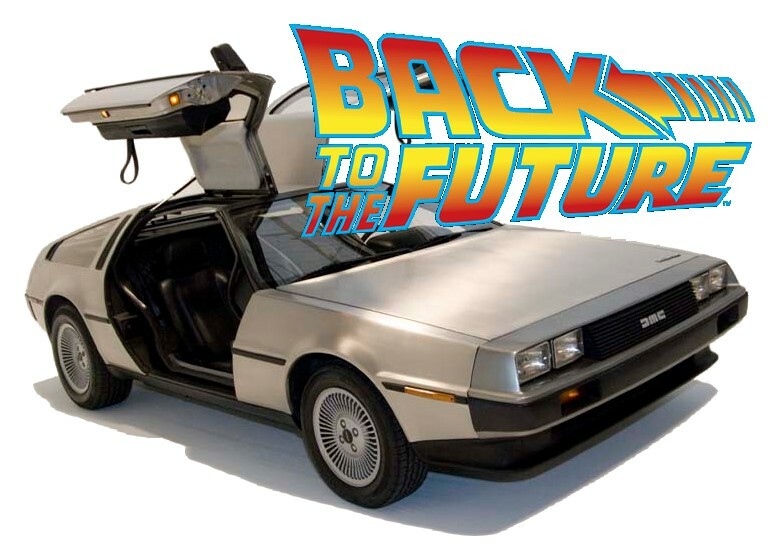 The Pound has only been this low once before in 60 years, back in 1985, when Back to the Future was released and the already defunct DeLorean (1983) was ironically the posited future of flying cars and time machines. In fact, without any irony at all, DeLorean or rather the new DMC is making fresh models of the DMC-12 car this year! As was discussed today on TalkRADIO, for which I was interviewed, we are in dangerous territory here, using jingoistic language to appease the right whilst seemingly stealing centreground policies, but only for the few who are hard-working British citizens, not the “low skilled immigrants”. Immigrant wealth-creators are welcome but not “wealth consumers“, said Liam Fox at a fringe event. So that’s no more asylum seekers or refugees then? Theresa May also turned the tables, saying that now Labour is the “supporting voices of hate…the nasty party”. Yet her language is more reminiscent of UKIP’s xenophobia than any kind of utopian equality. Even The Times said of her speech that “The Tory conference was largely immigration policy by Ukip.” It’s a scary future not a bright future we are being presented with.